It was love at first sight when the Dolce &Gabbna SS18 collection went down the runway. 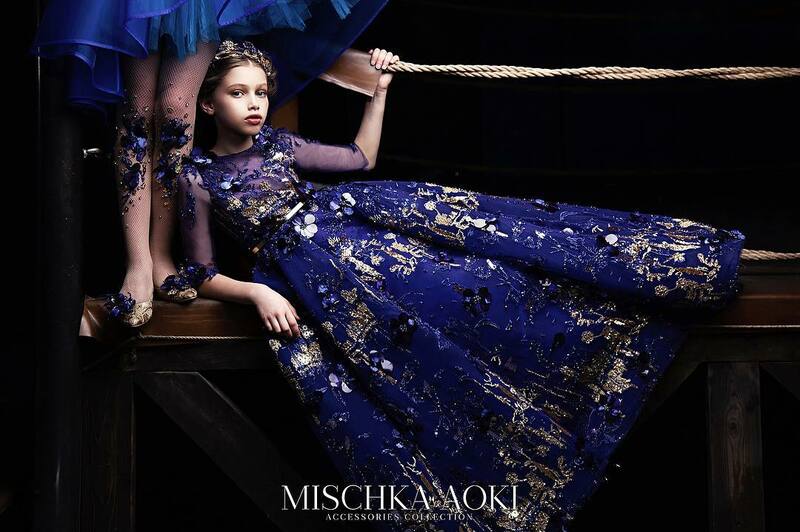 The Mini-me version is just as glamorous and romantic as their adult counterparts that look charge of the show. Plus, all the best Dolce signatures brim with fresh character. 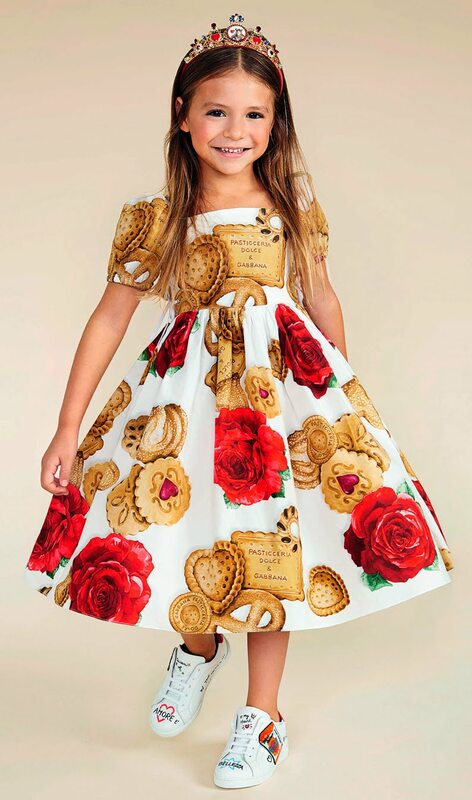 Girls ivory 'Biscotti Rose' cotton dress by iconic Italian designer Dolce & Gabbana, patterned with biscuits and red roses. 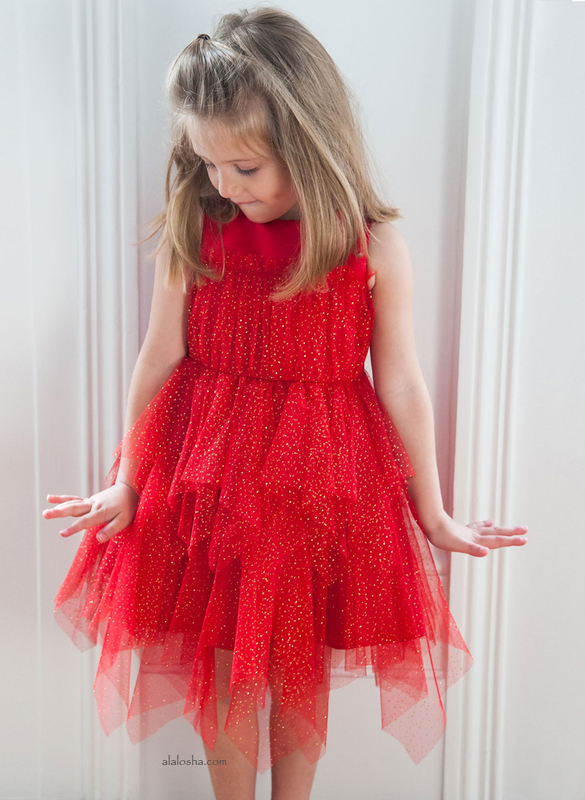 With elasticated, puffed sleeves, it has decorative ties on the sides and a full, ballerina-length skirt. The removable lining has layers of tulle for extra volume. 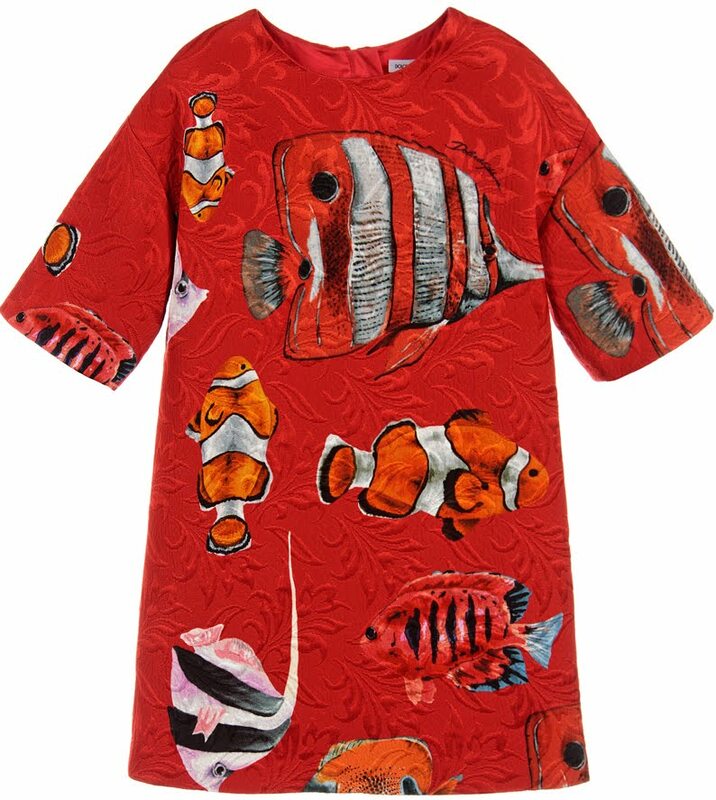 Girls red cotton dress from Dolce & Gabbbana, with a beautiful tropical fish print. 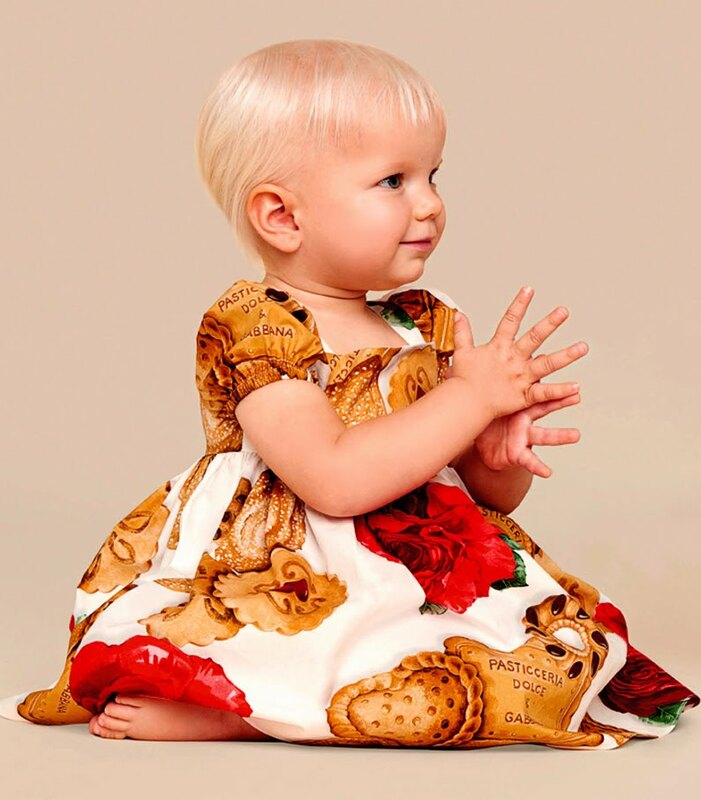 This mini-me design is made in cotton poplin, with puffed short sleeves, a gently pleated neckline, gathered waist and flared skirt. A waist sash with a big bow completes the look. 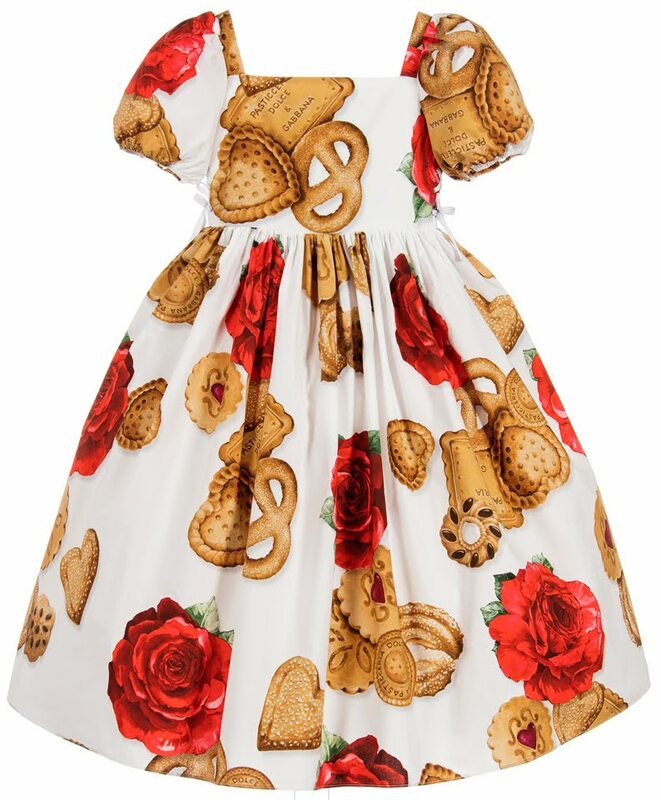 Made in fine white cotton, this pretty, puffed-sleeved Biscotti Rose dress by luxury Italian brand Dolce & Gabbana is patterned with beige biscuits and red roses. Gathered and full, it comes with matching knickers, ideal for covering nappies.